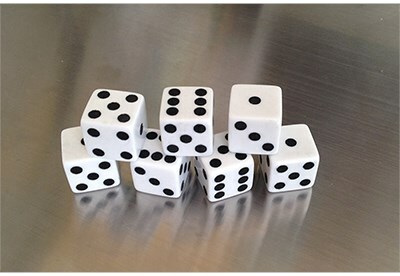 Normal dice abide by the rule of seven; six of these dice do not but can be casually examined and handled. These custom made elimination dice are not loaded but allow the magician to force any number one through six. Basically you get six double-numbered dies. The seventh die is for switching out. 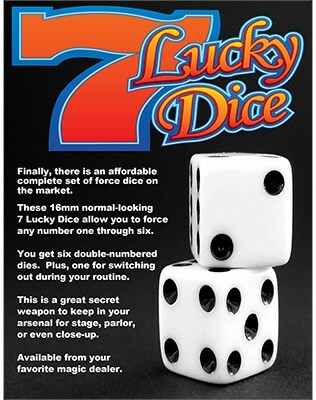 These 16 mm 7 LUCKY DICE are a wonderful secret weapon to have in your arsenal for close-up, parlor or stage.